Labbit labbit! It's February 1st, the heart of winter. 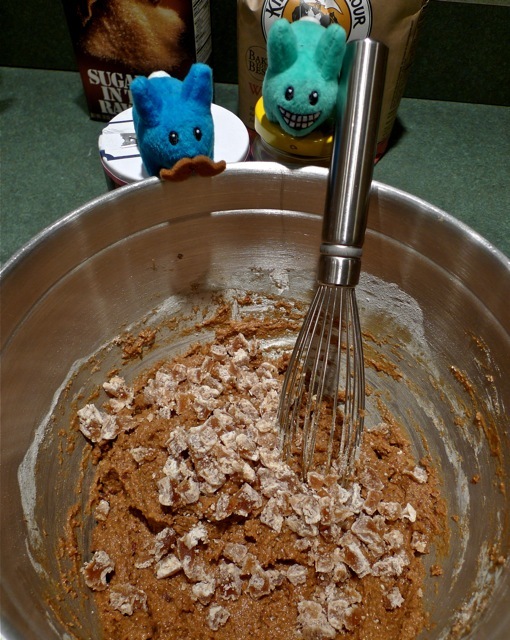 Did you think Doddy Blue and Masher McBuns were slacking off in the off-season? Heck, no! They've both been in the pool, but Doddy Blue's been focussed on running and Masher McBuns has been mashing his buns on the bike - alas indoors - on his trusty bike trainer. 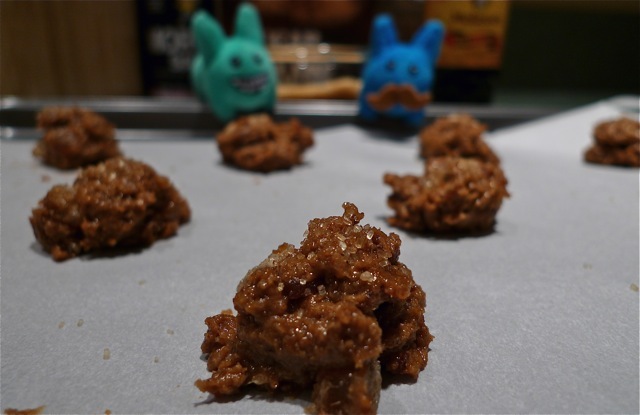 They have been watching their labbity race physiques post-holiday, and you may have noticed their absence from the kitchen after their little baking accident...but they're back to share a new recipe with you! Doddy Blue, winter labbit that he is, has a plush exterior that's impervious to the cold and this weekend he's running a Mid-Winter Classic 10 miler. 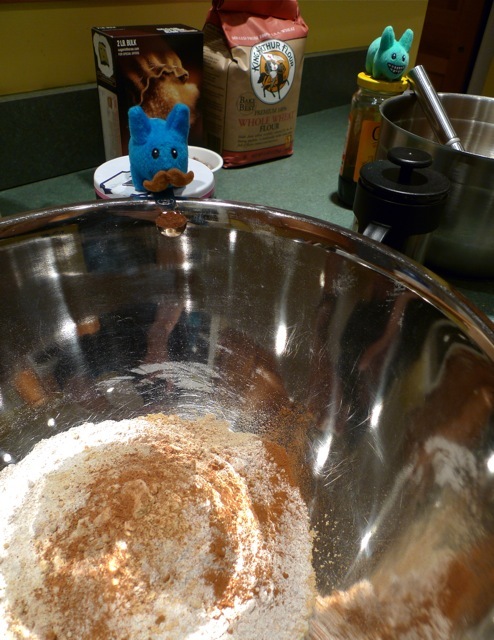 The fuel of choice for labbits is cookies, but who wants all the fat and guilt? 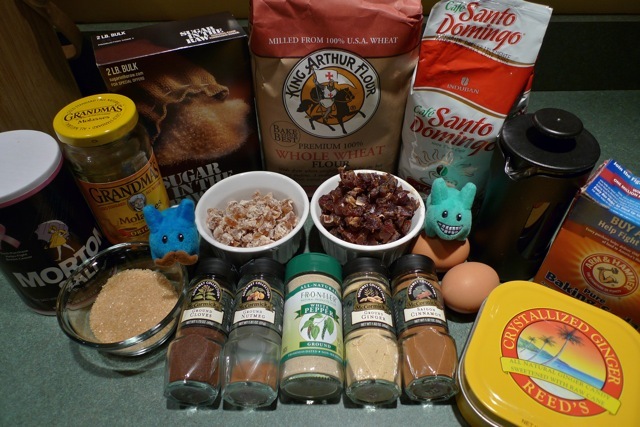 If what you want is flavor and fuel, try out these moist, chewy, spicy ginger cookies, courtesy of pastry chef and Green Mountain runner, Gesine Bullock-Prado. 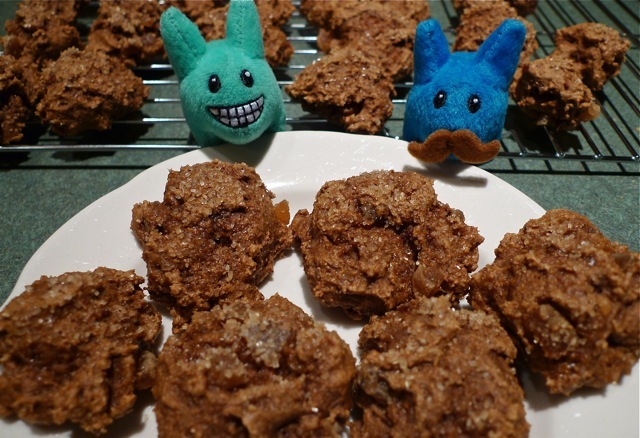 The dates give these cookies flavor and moisture without having to use butter or oil, and the coffee...well, the labbits did promise fuel, right? Each cookie weighs in at around 66 calories, so you can snack happy. Enjoy the cookies, and wish Doddy Blue luck on his 10 miler this Sunday! 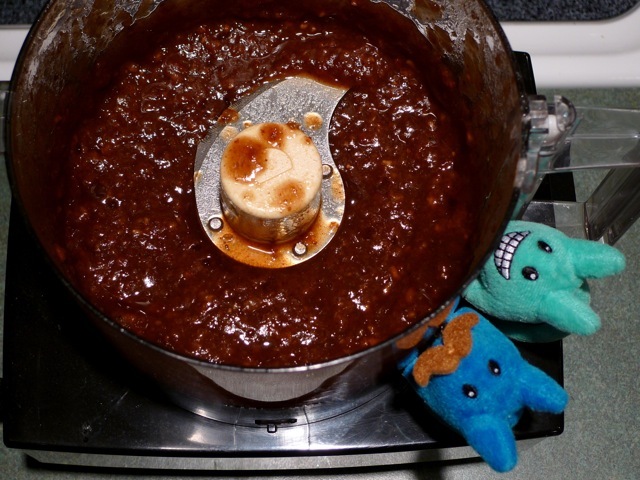 Print out the recipe by clicking here. 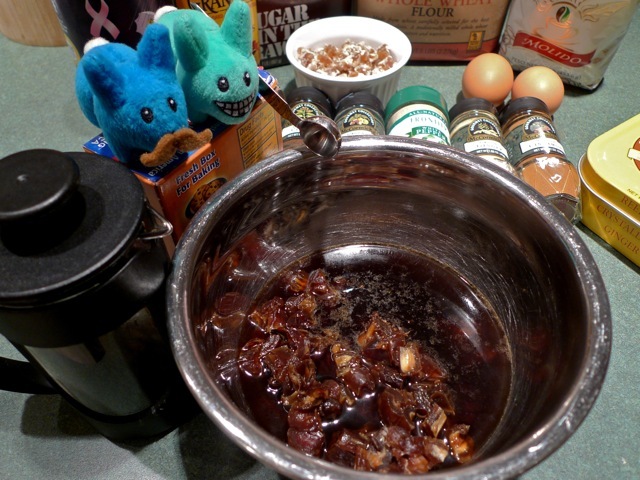 Combine coffee and dates and stir in baking soda. Let it sit for 10 minutes. Put mixture in a food processor; process until nearly smooth. In another bowl, whisk flour, salt and spices. Stir into date mixture. Stir in ginger pieces until just combined. Freeze till very firm but scoopable (30 minutes). Preheat oven to 350 °F. Using a tablespoon, drop dough into little mounds, a few inches apart, on a parchment-lined tray. Sprinkle sugar over cookies. 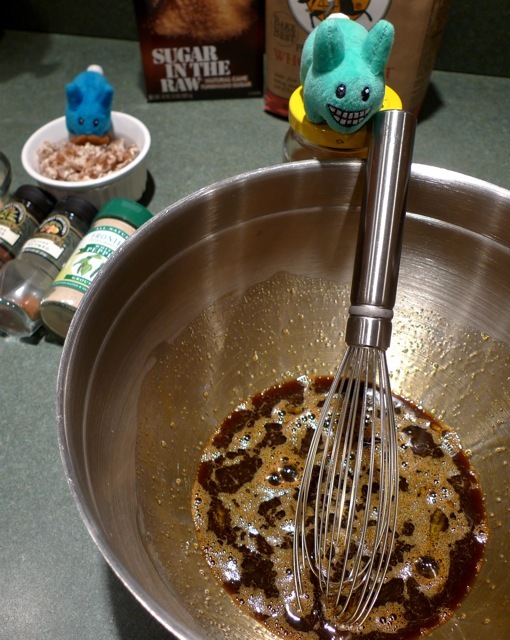 Bake 10 minutes or until they feel spongy yet firm and spring back when gently poked. Yield: Makes about 30 cookies. Mmmm...I know what I'll be baking tomorrow! These sound delicious and they'll fit very well in my running shirt and bike jersey pockets!